Intro — OPEN CD 11. Know what you are looking for? Search for it below. What's coming down the pike? Interested in what's been before the Community Board and how it will change the community? Check out our land use tracker (work-in-progress) for Community District 11 in East Harlem, visualized below. See the map on Carto DB here. At the July full board meeting, Community Board 11 ignored open questions about the percentage of permanently affordable housing and the mitigation of environmental impacts from the Lexington Gardens II project, which projects 390+ units of subsidized housing on East 107th - 108th Streets between Park and Lexington Avenues. At a Manhattan Borough Board meeting that followed, the chair of Community Board 11 stated that there were questions of conflict of interest, when reporting back on the Lexington Gardens II project. The vote narrowly passed with 20 in approval of the project, 13 in opposition and 5 abstentions. The Borough President's office reviewed concerns expressed by CB11 members at the Land Use committee under their review of the project and required corrections to the environmental assessment that had been submitted to the CB. In late April, the Department of Housing Preservation of Development plans to release a Request for Proposal process for the residential development on the East 111th Street/East 112th Street block between Park and Madison Avenues. The development will require the relocation of 2 existing community gardens and the removal and reintegration of 4 other community gardens operating on the block. The community engagement process was shortened to one meeting, followed by a presentation to the Community Board on March 9th. Proposals for the SustaiNYC RFP are due August 23, 2016. More info to come. Recent local changes: The Landmarks Preservation Commission (LPC) voted to propose St. Paul's Church and School for designation as a landmark. LPC will have another meeting for the formal designation process. From there, the City Council will have a hearing and vote to approve or deny. Community Board 11, uselessly, voted in support of designation after LPC had already recommended the Church and School for landmarking. East 117th Street. 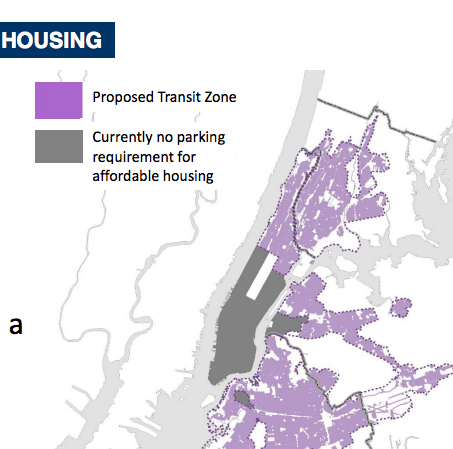 The New York City Council voted to approve a revised version of Mandatory Inclusionary Housing and Zoning for Quality and Affordability on March 22, 2016. Take a look back at the timeline of how MIH and ZQA passed in the City Council. The East Harlem Neighborhood Plan recommendations have been submitted to the Department of City Planning. A rezoning plan from the Department of City Planning could be available as early as fall 2016. The City Council revised significant portions of the City's Zoning for Quality and Affordability text amendment which passed in March 2016. Find out more here.